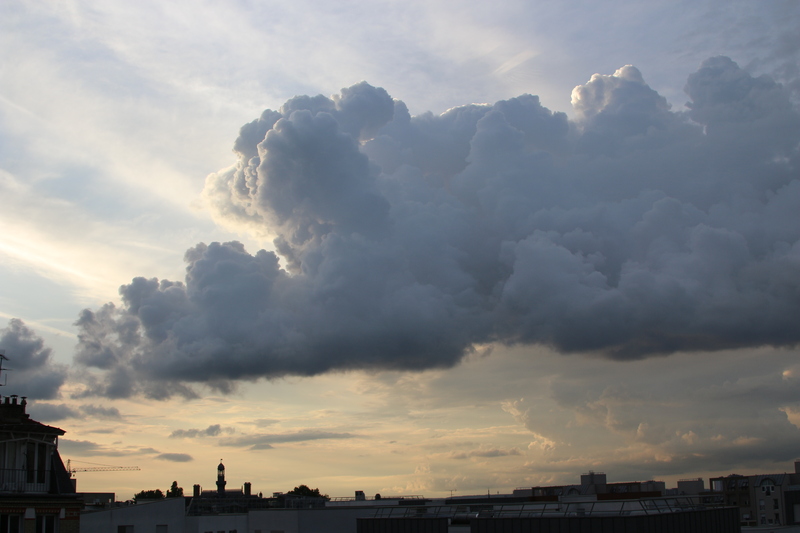 Most of you have not heard of cloud sprawl. Yet it is one of the major reasons why cloud solutions that where supposed to lower the overall cost over traditional infrastructure is rapidly proving to be almost as expensive if not more. If you are interested to reduce your AWS cloud bill by an average of 25% year on year as we are able to identify un / underused WM’s do shoot me a message on linkedin or contact me on martin.palmgren@northcraftanalytics.com . A client recently saved 2.6 MUSD on an overall 12 MUSD bill year on year. We have over the last year facilitated a number of BMC Remedy upgrades with a new partner with significant success and client satisfaction where the client had earlier hesitated to upgrade or switch to ServiceNow. Bottom line is that we address what is often a costly BMC Remedy upgrade … 7.6, 8.1 to 9.1, where we significantly reduce cost and time to market (up to 80%). If you are looking at a BMC Remedy upgrade, we significantly reduce cost and time to market with up to 80% where we currently work with a large number of BMC Remedy accounts. The technology partner that we work with is also able to migrate from 7.6, 8.1 and previous versions directly to 9.1 as well as consolidate multiple backends. They also cover multiple instances and has a solid track record and BMC leverage them for complex / challenging projects. Do let me know ( martin.palmgren@communicatethecompany.com ) would you have next steps in mind, someone that you would like me to reach out to or 15 minutes to accord me to walk you through the business logics. I wanted to share this thought provoking article https://www.linkedin.com/pulse/ignorance-regard-digitalization-frank-hilderts?trk=prof-post by Frank Hilderts with an almost Dutch straightforwardness. Not for the faint hearted. Why are companies who have been known for many years for their innovative products and processes losing their competitive edge at an alarming speed? Large and strong corporations such as AEG, Grundig, Nixdorf Computers, Triumph, Brockhaus, Agfa, Kodak, Quelle, and Schlecker are disappearing after decades of successful operations – and what were thought to be secure jobs that formed the basis for many a life plan vanished along with them. Instead, digital companies are taking over from behind entire industry sectors AT HITHERTO UNKNOWN SPEED: Uber, AirBnB, Skype/WeChat, Alibaba, SocietyOne or Netflix have grown to become major, if not key, competitors for traditional sectors such as taxi companies, hotels, telecommunications, retailing, banks or the movie industry. Other sectors are already following close behind. So what did proud and successful companies do wrong? Certainly, the full picture is in each case a mix of individual causes but, as an interim CIO and IT management consultant, I have very frequently encountered one characteristic in different management boards that is surprisingly common to all of them: ignorance with regard to digitalization. The CIO is considered more of a head technician whose IT is only of interest when something is not working or when an IT safety risk could personally affect the board members – an IT that actually only generates costs (the benefits being realized somewhere else – but this does not appear as a figure on a bill) – which is why, organization-wise, the IT function in most cases reports to Finance. On the board as such there is little IT literacy and in some cases board members are even proud of this circumstance: in their opinion, the expensive black-golden ballpoint pen doesn’t crash, long years of experience count more than big data analyses and, privately, they are very well capable of managing the electronic knick-knacks, aren’t they? Board members look at the digital newcomers in their business segment with a lenient smile because, after all, it took them decades to reach their current position as a company. They glorify the times when people used to communicate face to face and did not permanently glance at their smartphones – while, in their own company, digital resources are to be made available as restrictively as possible (if at all) because they believe that, after all, the staff is here to work and not to play with their computers. So should we quickly move to some digital – or what? So when a company shifts from fax to email and replaces inefficient manual processes like recording written purchase orders or incoming invoices by inefficient digital processes operated on large, expensive and monolithic IT systems and they proudly believe to be in the first league, this is rather irritating. When data analysts find out that men who buy diapers in a store in most cases also buy beer on the way and therefore conclude that beer should be placed on the shelf next to the diapers – this does not mean that you have found out why a customer buys something, but how you can justify activities. If controlling the robotic vacuum cleaner via smartphone takes longer than using a hand-held vacuum cleaner, if the coffee maker absolutely needs to be able to receive dozens (?) of coffee recipes via WLAN or if the dishwasher senselessly notifies you per app that it has finished doing his job, the question must be asked whether the interests of advertising data collectors are actually more important than those of the customers who are, after all, paying for these services. For example, departmental specialization: Purchasing is in charge of company-wide procurement activities and operates based on a large catalog of criteria which always represent a trade-off of interests but not based on the search for technically optimal components. Marketing produces advertising claims without having any detailed knowledge of the product that is based on personal experience thus creating a dangerous gap between product performance and advertising claims. R&D is looking for optimal solutions that balance technical and economic interests, but not for the maximum results. This points towards highly specialized silos with hardly any personal exchange between the departments. Or take the decentralized division of labor: almost every department time and again inevitably has to take minor decisions affecting offers and services, but no one actually assumes full responsibility for the customer’s satisfaction with the product – thereby marginalizing the product manager for tactical reasons of power play. Every department has different objectives and they all have different managers who (hopefully) get along well. For every department, the product is just one of many, but for no one it is a true concern. Everyone in the decision-making chain believes that he is doing his job but, taken together, they only produce mediocrity – and they do so optimally. Or the lacking cost degression: most individual products account for only a small share of overall sales, for small production volumes and, as a consequence, also for very limited degrees of freedom in terms of product development. In the App world, by contrast, you have real-time data, remote control with zero latency, live updates, HD, no waiting periods, no crashes – all devised by an international armada of developers. Conventionally operating companies are thus confronted with expectations they cannot fulfill. Or take multitasking stakeholders: buyers are often not the end consumers, but distributors and wholesalers. In this environment, a wide product range and constantly new product variants are more important than having the one and only perfect product. As a consequence, the retail sector forces manufacturers to constantly produce new iterations of tried and tested products. Instead of striving for perfection, they end up caught with dozens of variants. Or an inappropriate economic networking: conventional business cooperations are based on a vertical networking, characterized by a chain of command, relationships of dependency, business secrets, and full integration. One option would be to quickly merge all parties involved to one company, but it’s cheaper this way and also allows for quick divestments. No company can operate the way that would be most appropriate, this being impeded by the fact that companies are too readily following the most powerful market player. That way, long-cherished traditions turn into an obstacle for crucial changes. If you want the board and your business stakeholders to sign off your digital project focus on the business bottom line. Ensure that Digital services (internal and external) can be prototyped and set up in weeks not years. Acquire the right tool sets and focus on result culture is important but, delivery cycles should be calculated in days or a week or 2. To many companies focus on minimising software licenses only to find themselves with solutions that where initially scaled for small and mid sized companies and that requires significant effort to set up. Focus here should be on how fast can we set the service up to the needs of the business so that they can deliver customer value. If the service does not work and does not provide value for the business it does not matter that you did not pay a software license you still invested time and resources that could have been used elsewhere. Build small teams to explore external and internal business model improvement or new business models with a prototype, test, correct, put in production (agile, learn / fail fast) rather than a “do or die” mentality no one ever wanted their head to end up on a silver plate or put their career at stake. Over investing time in tools that are not adapted to purpose only moves the cost from vendor lock in to “tools that are not adapted to purpose lock in”. Sometimes we need to appreciate that we can not make a dead horse run any faster no matter what we do even though loading it on a truck might be tempting. Take the sunk cost an move on! The earlier the better. Microsoft, Google, Uber, AirBnB, Skype/WeChat, Alibaba, SocietyOne or Netflix did not propose a perfect product but a product that was good enough to be used yet 80% of IT development effort is focused on the 20% of functionality that few use anyhow. Most of the time this is driven by business requirements where IT is unable to put a cost on the additional time it will take. Bottom line: Allocate resources effectively and focus on the needs of the business and the needs of your customers. Ensure the digital customer experience for external and internal customers with dynamic BI and Digital application performance management. Bottom line: Invest in the customer experience. If your strategy is digital then make the necessary investment to ensure that services are up and running and the customer experience is optimised. Digital and Application Performance Management as well as Dynamic BI ensures the customer experience for your customers but also the business and your business stakeholders. Build a coherent strategy where the CIO and the CDO work with best in class providers from Microsoft (Azure), IBM, AWS to rapidly deliver scale able cloud services as needed. Bottom line: Do we build or buy the service? A public / private cloud can often be set up in a matter of days so that you can start to build services and test them on the fly to see if they gain traction. The successful service can then be brought in to a private cloud / data centre (internal cloud) as we seek to optimise cost and security. If cloud services are not run effectively cost will run out of control and I have seen this on numerous occasions where the on off boarding of cloud services is not effectively managed. Onboard the board to ensure that they understand the value of IT as a driving force and provide enough leeway to explore new digital external and internal business models. Bottom line: Do not expect your stakeholders to “speak IT” focus on the business logics, market share, down time that is speak business. Provide the ability to rapidly detect bottlenecks in the delivery of external and internal IT services. Bottom line: The ability to deliver effective internal IT services conditions your credibility. With the right tool sets this can be done in real time. Bottom line: Trust is built on a step by step basis. If you can gain the trust of your board / finance department they will allocate the necessary resources. Most of the time IT needs to answer 2 questions: 1) does it work, 2) is our spend aligned with the competition. Run it as a business enabler as opposed to a cost center. That is understand how services are delivered and how cost is distributed this would include for outsourced providers. Bottom line: Where creative accounting might sometimes be required to get the ROI right for a necessary infrastructure investment most of the time we need to understand how services are delivered and who consumes them to understand how cost is distributed. If you have a good service request management service catalogue front end it can used to understand who consumes what and how services are billed for and notably by outsourced providers. If you can effectively allocate cost you can run IT as a profit centre were charge back can be based on real consumption. Last weeks article https://www.linkedin.com/pulse/what-causes-digital-business-models-products-services-martin-palmgren?trk=prof-post where I shared Frank Hilderts observation / thought provoking point of view that you can find @ https://www.linkedin.com/pulse/ignorance-regard-digitalization-frank-hilderts?trk=prof-post met quite an audience and I want to add / provide a complementary perspective based on my experience. Keep in mind that you do not speak to a potential investor, disruption is the last word that your board wants to hear. A disrupted service is a service that is down. L’Oreal has successfully built an online business that is today their 3 largest market in the world. They did not disrupt their business model they simply extended it for their products to be available so that their clients could purchase them when they wanted where they wanted at the same price point not to cannibalise on sales from their retail network. Sephora is driving sales though the ability for clients to exchange on how they use their products. GE aviation is using IoT / the industrial internet (Predix) to keep airplanes up and fuel consumption down and minimise downtime. GE Oil and Gas are leveraging the industrial internet to keep oil installation up and running and safe and minimise downtime. Martin PALMGREN is a seasoned Senior Business and IT Strategy Transformation Executive with 15 years of experience that works with some of the top CIO’s and IT organization’s on the European market on how to deliver business value with IT. Within this frame he address strategy formulation and rollout for fortune 500 businesses with a focus on how to ensure that the business strategy and objectives are supported by IT with an effective IT Strategy. A cross sector expert he works with both Business and IT Executives to reach this objective. Martin demonstrates strong analytical skills, the ability to clearly structure complex situations and develop and deliver solutions under pressure. He has managed top talent in virtual and physical teams across the globe. A lecturer and thesis adviser he works with top talent from a student to a senior executive level with confirmed results and moves with ease from the executive suite to a startup and classroom environment. Author Note: The upper part of the clients that I speak to feel that there is a lack of actionable articles and publications that help to bridge the gap between the execution of the business strategy, business objectives and how IT can be used to support the latter to deliver business value. This is also the reason why I decided to put forward an execution centric material that has for objective to if not entirely bridge the gap between IT and the business provide Business and IT Decision makers the necessary common language to move forward in the same direction (pointing fingers is rarely productive). The Deliver Business Value with IT series is a reply to: How do we put the IT Strategy in place and how do we communicate effectively with our stakeholders. – How can we leverage IT in a – Time to Market, – Cost Effectiveness, – Cycle Time, perspective? “So, what does this mean for ownership of IT Service Management (ITSM) toolsets and data? Increasingly enterprises are reviewing their ITSM approach, in some cases taking ownership back from their major partner. The ability to see how incident, request, problem management is executed and resolved as well as to see how well the service desk support the needs of the business has also sailed up as a priority for the business and IT stakeholders that I work with. If you need to understand how business (Procurement, Finance, HR), IT, SIAM, cloud and infrastructure services are delivered across ticketing system(s) and service desk(s) to client needs Northcraft Analytics can provide the necessary visibility on execution. From a business impact perspective Northcraft Analytics would give you the opportunity to deliver better more accurate services, improve process execution and address bottle necks in near real time. That is if you provide Slack (Collaboration), Salesforce (CRM), Workday (HR) or any other business, IT, SIAM, cloud or infrastructure services Northcraft Analytics would permit to track the request for an account and how fast it is set up, if there are incidents and how well these have been addressed by the Service Desk where tickets are opened. From a ticketing tool perspective Northcraft Analytics gives you the visibility in to how services are delivered (request) and if there are disruptions and how these are addressed (incident, change) and if raised problems are addressed in time in the service desk. We cover ServiceNow, BMC Remedy, HP, CA across Business, IT, Cloud and infrastructure Services and provide an executive view of how services are delivered with the ability to drill down to the specific transaction in (near) real time in order to improve execution. This Tableau Executive Dashboard 10 minutes video with geographical, heat and bubble map with the ability to drill down to the transaction level https://www.youtube.com/watch?v=RYHDOtv289A should give you a good overview. Northcraft Analytics set the service up and leverage best in class presentations layers such as Tableau, Power BI, Sharepoint, Excel (Quick) with unlimited users where you pay a fix fee per process area where we cover 11 of the 24 ITIL processes out of the box. One of the key challenges we often see with data collection into a data lake / reporting environment is the maintenance of the ETL layer. For example : new fields are added, labels of fields are modified, field types/length, relationships, etc. traditional ETL tools require a lot of effort. Northcraft Analytics provides a solution that is pre-built, incremental, parallel and handles exceptions. 80% of our development effort is the ETL for the enterprise applications we support. For those of you that have followed my post and even possibly read “Deliver Business value with IT” I could not agree more. Suzanne Adnams, Katherine Lord conlude that “CIOs must move beyond an ITIL operational view of services if they want to communicate value, guide IT management decisions and mature the IT organization toward a strategic business focus. Key Challenges CIOs pursuing service-optimized IT organizations must be able to communicate strategic business value to executives and stakeholders, as well as to the IT organisation. From a business perspective it is key to build you service catalogue around business (often composed by service bundles that would include business and IT services such as HR on / off boarding) and IT services including cloud (to avoid cloud sprawl). Data can be presented in any format and to the required audience in a number of visual forms, can be leveraged from Microsoft Dynamics, Service Now, BMC, and installation can be on premise or on cloud and a data example can be spun up on AWS in a matter of minutes. That is we can build a demo with your data in a matter of minutes. If you have planned to migrate from BMC / HP / CA to Service Now Northcraft gives you enough visibility to ensure services levels remain acceptable. Northcraft permit to ensure executive buy in and effectively address bottle necks in how services are delivered and avoid “ticketing fatigue” that is when users no longer bother to submit a ticket and ensure that you run a best in class service organisation. How actionable are your IT KPI’s? Actionable KPI’s are business critical and the reason why have accepted to step up as Director EMEA for Northcraft Analytics but I will continue to work with the providers that I support. The short version is that Northcraft Analytics permit effective dynamic “Big Data for IT” reporting and analytics with actionable KPI’s where native reporting from BMC, ServiceNow and HP does not and I thought that you could find this of interest. Northcraft Analytics provide a best in class solution with actionable KPI’s presented in executive friendly scorecards with 1500 + Key Metrics and Key performance indicators where our pre-built Hybrid OLAP (HOLAP) BI Applications scale to meet the needs of very large IT organisations, such as ExxonMobil, Cox Enterprises, Novartis, Turner Broadcasting http://www.northcraftanalytics.com. If you have planned to move from BMC / HP / CA to Service Now Northcraft gives you enough visibility to ensure services levels remain acceptable. Northcraft Analytics is a Gartner leader and you will find the Gartner report towards the end of the enclosed white paper booklet that would also provide more granular technical information. One of the key challenges we often see with data collection into a data lake / reporting environment is the maintenance of the ETL layer. For example : new fields are added, labels of fields are modified, field types/length, relationships, etc. traditional ETL tools require a lot of effort. Northcraft provides a solution that is pre-built, incremental, parallel and handles exceptions. 80% of our development effort is the ETL for the enterprise applications we support. – ITOM analytics and IT Call Centre. – SharePoint – We have pre-built high performance dashboards built on Performance Point. – MS Office – We turn Excel from a static spreadsheet utility into a live & real-time report tool. – SQL Server (we are built entirely on the Microsoft BI Stack) – 100% of our code is written in the Microsoft BI Development Studio (SSDT in SQL 2012 and beyond), helping us to fit nicely within the enterprise architecture standards of large organizations. We continue to be a Microsoft partner.